Hogue Handall Full Size Slip-on Grip | Atlantic Guns, Inc.
Hogue's Handall grip sleeves are scientifically designed and patented with a special contoured shape that hugs the contours of your gun. 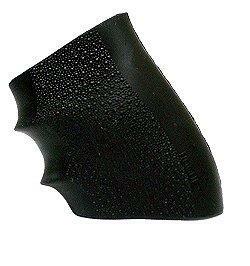 This exclusive shape gives a secure fit with no loose spots. Hogue Handall features include proportioned finger grooves, a unique cobblestone texture and ambidextrous palm swells on a non-slip surface. These comfortable grips are tough and resistant to all oils and solvents found around firearms.